McLaren Construction Group PLC has published its results for the financial year ended July 2018. The results reflect continued performance, building on the 2016 and 2017 financial results. It was a positive year, with the group delivering strong year-on-year growth. Gross margin rose to 6.1 per cent to deliver an operating profit of £4.6 million, up 4.5 per cent on the previous year. This has been achieved in a highly competitive market. The group’s levels of liquidity are strong, with no long-term borrowing. Highlights for the year include the largest turnover ever for the London business, expansion in the Midlands and Manchester, and development of a public-sector team to deliver further growth. Looking to the future, there is a positive pipeline across the business units. Turnover for 2018-19 is on course to exceed £600 million, with 98 per cent of the order book already secured. Future growth areas include senior living and working more with the public sector. The group has secured two local authority frameworks to date (Procure North West and Be First for Barking and Dagenham), providing gateways to more public-sector work. It continues to target further frameworks, as well as partnership opportunities with local authorities. 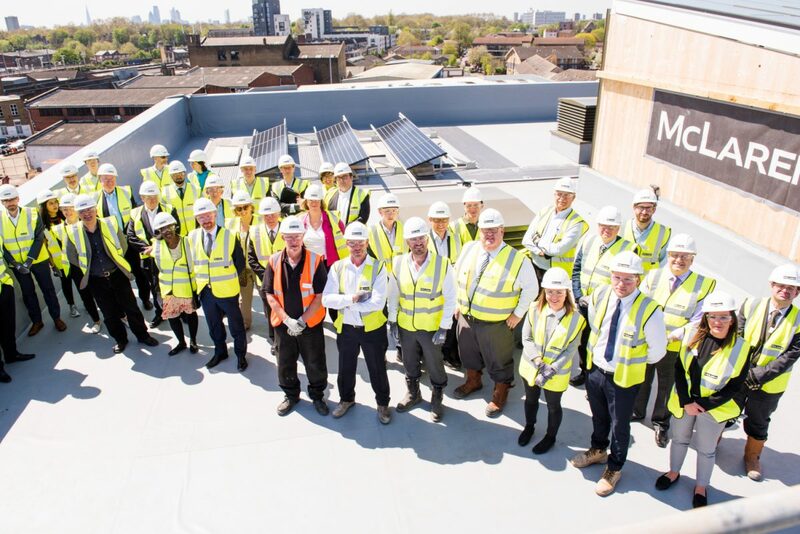 “The company continues to thrive and grow – further evidence that we are one of the leading, privately owned companies in the construction industry. “Our strategy for success remains focused on customer delivery. The benefit of that approach is clear from the improvement in gross margin and operating profit, with further growth forecast for next year. We remain selective in the customers we work with, balancing careful analysis of opportunities with our entrepreneurial culture.